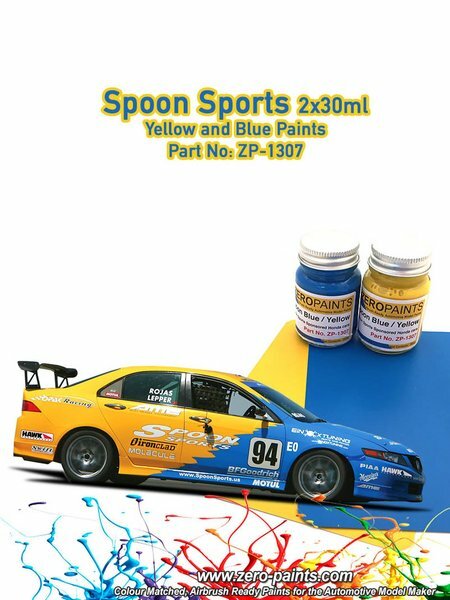 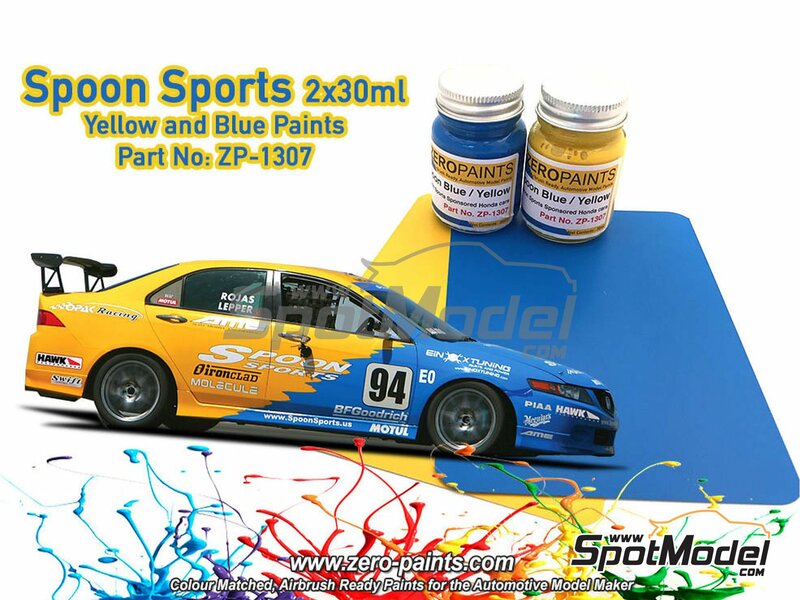 Set of two paint bottles (30ml each) containing the blue and yellow colors used by Spoon Sports sponsored vehicles. 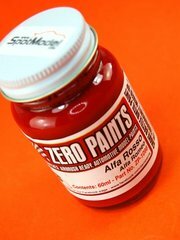 Manufactured by Zero Paints with reference ZP-1307. 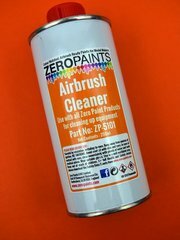 Package measures 80 mm x 38 mm x 60 mm (width x depth x height), weighting 175 g.
Featured in newsletters 257 and 264.